Review these healthy teeth tips from your family dentist, Bertagnolli Dental in Westminster. Avoiding tooth decay and gum disease will keep teeth happy, ensure a great smile, and help to keep your overall health in good shape. Unhealthy teeth can lead to difficulty with general nutrition, speech problems, tooth loss, and reduced self-esteem. So, let us help you take the best care of your teeth with a full range of dental services, whitening to fillings, crowns, implants and more. Check the following healthy teeth tips from your family dentist. It's never too early to establish a regular dental care routine with a baby. Even before their first tooth appears, it is good to get into the habit of cleaning your baby's gums after each feeding. Using a soft, damp washcloth, you can gently rub the surfaces of their gums clean. When their teeth appear, switch to using a soft bristled brush designed for babies. At around two years old, children can start learning how to brush their teeth twice daily, but should still be supervised and assisted by an adult. When it comes to healthy teeth tips from your family dentist, this one goes without saying. Smoking puts you at a higher risk of gum disease and oral cancer. Tobacco can also permanently stain the surface of teeth and create bad breath. Remember that children tend to follow in the footsteps of their parents, so try to set a good example by not smoking, at least not around children. Including plenty of whole foods such as fresh vegetables, fruits, grains and protein sources into your family's diet will go a long way in keeping every aspect of their bodies fit and well. Calcium can be found in dairy products, nuts, and pulses such as beans or lentils. This, along with Vitamin D, is necessary to form strong bones and teeth. Everyone, from toddlers to the very elderly should brush their teeth twice per day. This is the most important step anyone can take in keeping their teeth strong and free from tooth decay, and it only takes five minutes. You can foster good brushing habits by making it easy and fun for everyone to take care of their teeth, first thing in the morning and before going to bed. Change brushes every 3 months, and try different types until you find the right one. Extra grips on the handles will make it easier for the elderly or those with mobility issues to complete this important task. Of course, always remember to floss. If you’re like a lot of people, you may prefer disposable floss sticks to traditional floss. Fluoride is added to the majority of drinking water in the US, due to its success in strengthening enamel and preventing tooth decay. If your local water source is not fluoridated, it is a good idea to talk to your dentist about the best ways to introduce the correct amount of fluoride to your family's dental routine. Use a pea-sized amount of fluoridated toothpaste for children. Just a word of caution, too much fluoride can cause white spots to form on the enamel. Food particles remaining on your teeth after eating will increase the levels of cavity-causing bacteria in your mouth. You may find it inconvenient to brush after every time you eat throughout the day, but a quick rinse with mouthwash or chewing sugar-free gum will help keep bacteria at bay. Remember that chewing gum is not suitable for very young children that may accidentally swallow it. When participating in sports, martial arts or other activities that involve potential knocks and bumps, children and adults should use a mouthguard to protect their teeth. Your dentist can create a custom mouthguard, or you can buy a generic one that molds to your mouth. The important thing is to have something to reduce the risk of injury from impacts. A mouthguard will lower the risk of chipped or broken teeth and prevent the wearer from biting their tongue or the inside of their cheek. Bacteria in our mouth feed on simple sugars and produce an acid, that when left for long enough, can eventually dissolve tooth enamel. Avoiding sugar entirely is difficult, but if we can limit sticky candies and sweet drinks, our teeth appreciate it. Soft drinks such as sodas and fruit juices tend to be high in sugar and acid. When they are sipped slowly over a prolonged time, they can hugely increase the risk of tooth decay. Limit sugary drinks and foods to mealtimes only, instead of consuming throughout the day. Sealants are applied to the surface of healthy molars and premolars to protect against cavities. The resin-like substance is easy to apply and adds an extra fortifying layer over the pits and fissures of molars that are particularly susceptible to cavities. These sealants can be applied to children's adult molars as soon as they come in. A dental check-up, every six months definitely makes the list of healthy teeth tips from your family dentist. Recommended for both children and adults, regular check-ups allow your dentist to monitor any changes in the condition of your teeth and tackle the first signs of decay. Skipping dental appointments can enable problems such as cavities, gum disease, and oral cancer to develop into serious conditions that will be more difficult to treat. Following these healthy teeth tips from your family dentist will give your family the best advantage when it comes to lifelong oral health. Avoiding tooth decay means avoiding unnecessary pain, the hassle of multiple appointments to treat cavities and the blow of unexpected costs. For more help on preventative dental care, contact our friendly team at Bertagnolli Dental in Westminster. We are happy to help you and your children learn the best techniques for great dental hygiene. Everybody loves a smile. Today, Bertagnolli Dental shares all about cosmetic dentistry and what it can do for you. It has now been scientifically proven, that smiling impacts our well-being and psychological health. It’s contagious, too. A happy, bright smile can genuinely transform the way you look and ultimately feel. Make sure that you are completely comfortable with your smile with help from Bertagnolli Dental. We offer a range of cosmetic dentistry services, so be sure to check out the many options for cosmetic dentistry so that you can revamp your smile! It’s essential to work with your dentist to learn all about cosmetic dentistry in order to choose the right procedures to renovate your smile. At Bertagnolli Dental in Westminster, we will create a customized plan for your unique case, formulating the steps needed to achieve your personal dental goals. We can help revitalize your smile with a cosmetic dental plan of your own that is specialized to your particular needs. When it comes to cosmetic dentistry, there a few options to choose from. Your dentist will make recommendations, and you can decide together the best course of action to take. Remember, we are the professionals, and your dental health and aesthetics is our job! Check out some the of the services available and feel free to ask us all about cosmetic dentistry to learn more. Whitening your teeth can do wonders for their appearance and yours. Over time, coffee, tea, cigarettes or other harsh substances really take a toll of the brightness of our teeth. With a teeth whitening service from Bertagnolli Dental, your teeth with gleam and your smile with shine! Be sure always to have a trusted and reliable dentist perform this procedure, as many products pale in comparison the professional-grade we use. And because it is a relatively extreme chemical treatment, be sure to follow all guidelines for best results. This is a relatively quick procedure, only requiring a single office visit. Sometimes, simply reshaping some awkward teeth is all it takes to improve one’s smile and how you feel about it. Using a variety of files, we can adjust the appearance of your teeth with subtle changes. They can add up to make one big change for the better in your smile! This can be done the same day and does not require a very long visit to the dentist office. Porcelain veneers can do wonders for any chipped, stained, discolored, or gapped teeth. Your skilled dentist will create a covering for any damaged teeth and even cure it, so it is strong, right there in the office. It will not take long for you to get used to the new support for your teeth and pretty soon you will not be able to tell the difference between your teeth and the veneer. The natural look of veneers will seamlessly blend with your natural teeth and feel great too! Get ready to love your teeth again! This will typically only take a single visit to our Westminster office under normal circumstances. Dental crowns provide restoration to the tooth, giving it strength, while simultaneously improving appearance. The crown is a permanent piece that fits over a tooth in need of help. Teeth that are cracked, broken, deformed, discolored or a variety of other causes can benefit significantly from having a crown installed. It will look better and function better too. You will be able to chew food effortlessly again! Dental crowns will take a minimum of two office visits to fully install, but the results are well worth the extra trip. Once they know all about cosmetic dentistry and have opted for crowns, many of our patients say that having them changed their life for the better! Dental implants provide a base, (an artificial root), for replacement teeth to anchor in and they can do wonders for your mouth. These are stable and permanent and do not interfere with neighboring teeth in any way. The bone-like ceramic is compatible with our own body tissue and in a procedure like this, the implant actually fuses with the living bone. This process is called “osseointegration, ” and the results are spectacular for our patients. Implants are durable and stand alone. With this stability at the base of the tooth, you can really let loose with your best smile! Implants take at least two office visits to completely establish, but you will love the results. Depending on the severity of your dental makeup, we can provide a complete reconstruction of your mouth. Trust that we know all about cosmetic dentistry and can find the ideal situation no matter what we find during an examination of your teeth and mouth. Sometimes, a patient’s teeth are the result of genetics, hard use, or the combination of the two. No matter what the reasons your teeth are not what you want them to be, we can help big-time at Bertagnolli Dental in Westminster with all of the cosmetic dental services you need. Fortunately, it is possible to completely re-do one’s mouth and create natural, comfortable, and lasting dental solutions. Offering everything from dental crowns and implants to veneers to dental bridges, whitening and more, at Bertagnolli Dental, we can organize a dental plan that meets your specific needs and goals no matter how big. Our team is ready to help transform your dental image this year, and you will simply love the results, so, let's get started! The team at Bertagnolli Dental cares about your experience at our dentist practice. We will do everything we can to make it a pleasant and productive experience. Our attention to detail, in-depth understanding of the dental field and cosmetic dentistry, as well as our ability to listen to our client’s needs, will ensure that you are taken care of by the most caring professionals in Colorado. Come to our Westminster office to learn all about cosmetic dentistry and how it can help you love your smile more than ever before! Should I Get Teeth Whitening? At Bertagnolli Dental in Denver, a common question we get from patients is, should I get teeth whitening? To be honest, your dentist cannot make that decision for you. We can certainly give you information about the procedure, costs, and effectiveness, but in the end, it is up to the individual to make the decision. If you are thinking about whitening your teeth, keep reading to find out more about the reasons why people decide to get their teeth whitened and the different methods available. The exact color of your natural tooth enamel depends on your genes, but generally, when your adult teeth first appear, they are at their whitest. Over the years, a combination of constant use, aging and staining will gradually change the color of your teeth. As the hard, white enamel wears away, the darker inner layers of your tooth become more visible, creating a grayer appearance. A buildup of stains from tea, coffee, red wine or tobacco can also dull the natural color of your teeth. While some people worry that yellowing or darkening tooth enamel is a sign of poor hygiene, it is a natural process that occurs over time. Some other causes of tooth discoloration, and reason patients consider teeth whitening, include grinding your teeth, which can cause the enamel to be worn away faster and result in tiny cracks on the tooth's surface. Certain antibiotics taken before the age of eight can produce tooth discoloration as a side effect. Also, overexposure to fluoride as a child can result in permanent staining of the adult teeth, a condition known as dental fluorosis. An injury to a tooth can cause the root to die and significantly change the color of the tooth. While some of the causes of tooth discoloration are preventable, many are not. When it comes to teeth, everyone is different. Some people are extremely unsatisfied with the gradual discoloration of their teeth, whereas others are not affected in the slightest. If having discolored teeth has an adverse impact on your self-image and confidence, it is worthwhile considering professional teeth whitening as a solution. Some people are so embarrassed by the appearance of their teeth that they avoid smiling for photos or avoid social situations. As you can imagine, this has a severely limiting effect on their professional and personal life. Teeth whitening is a highly effective way of restoring the bright white appearance of your teeth. For some people, tooth discoloration may only occur at the tops or bottoms of the teeth, or they may have just a few spots or stains that bother them. Others may want to reduce an overall yellowing of the teeth that happens over time. If you are unsatisfied with the appearance of your teeth, having them whitened is a cost effective way to improve them almost instantly. 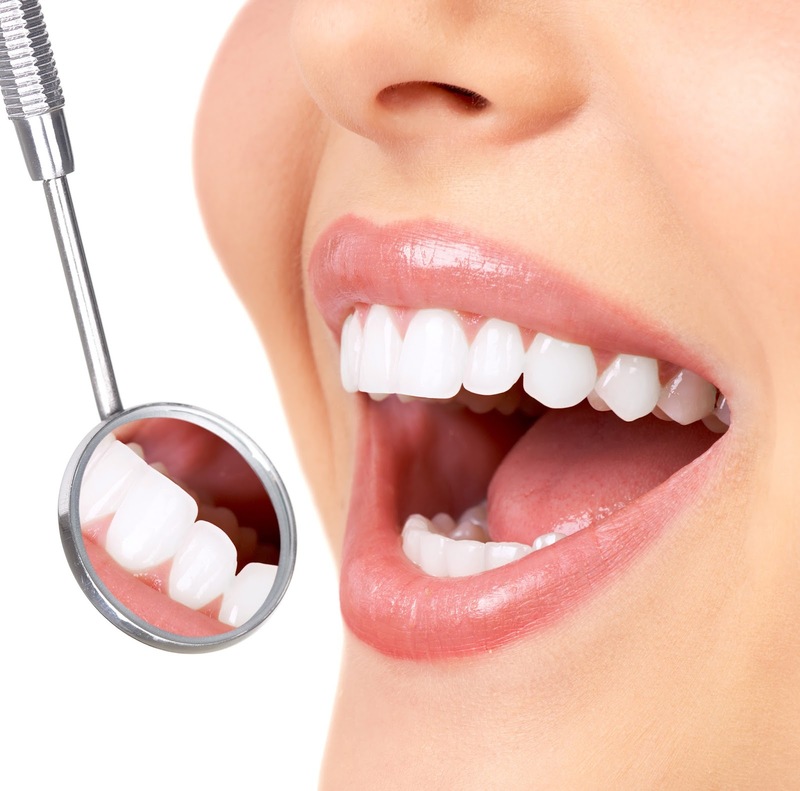 Teeth whitening is a non-invasive procedure that can be done by any qualified dental professional. Once you have decided to go ahead with teeth whitening, it is time to choose which method to use. The option most recommended for first-time whiteners is the treatment offered at your dentist's office. Your dentist is the only person capable of first evaluating your teeth to check their suitability for whitening, and deciding on the strength of solution to use. A whitening treatment at the dentist's office usually involves a strong bleaching gel of around 40% hydrogen peroxide. This highly concentrated solution is very effective and is only administered by dental professionals. Before applying the whitening gel, your dentist will first ensure your gum line is protected. A rubber dam is hand-painted onto your gums to ensure the gel only comes into contact with your teeth and avoids damaging the more delicate tissue of your gums. Once the chemically activated gel is applied, it will start working immediately and produce significant results in around one hour. To prolong the effect of this teeth whitening treatment, your dentist may offer you a take home kit to continue regular whitening sessions by yourself. Some dentists offer a professionally supplied whitening kit that can be used in the comfort of your own home, at your convenience. A custom try will be created from a mold of your teeth by your dentist, and the gel will be supplied in pre-measured, easy to apply syringes. Your dentist will instruct you on the application times, which can vary from 30 minutes to overnight. There are inexpensive teeth whitening kits commonly available in grocery stores and drug stores. These kits usually contain pre-made strips or a paint-on applicator with a weak solution of whitening gel to be used at home. These kits can be effective to some degree, but because of the limited strength of the product, they may produce inconsistent results. Some people are tempted to leave the gel on for longer than the recommended time and end up suffering from increased sensitivity and even gum burns. Without a tray customized to your mouth, it can be hard to apply the gel to the surfaces evenly and protect your gums from exposure. Before you should I get teeth whitening, consider how much time and money you want to invest in the process. When carried out in a dentist's office, teeth whitening is fast, highly effective and should have no side effects or health risks. Unfortunately, teeth whitening is not usually covered by medical insurance as it is considered a non-essential, cosmetic procedure. On the other hand, it is significantly cheaper and faster that orthodontic braces, veneers and other methods used to improve the appearance of teeth. Another issue to considerat is that whitening treatments will not succeed in changing the color of crowns or fillings, just the natural enamel of your teeth. Hopefully, we have cleared up some of your concerns about this non-invasive, affordable procedure. If you are still wondering should I get teeth whitening, then feel free to schedule a consultation with one of our professionals at Bertagnolli Dental in Westminster, Colorado. We would be happy to advise you on the most suitable method to improve your smile. We’re often asked, “What happens if you don't replace a missing tooth?” Luckily, the team at Bertagnolli Dental in Westminster, Colorado has the answers. We always provide accurate, unbiased and up-to-date information to our patients. A missing tooth can be dealt with in a number of ways, but some people may prefer just to leave it. With the full story, it is easier to make the best decision for your health. Missing teeth currently affect a large percentage of the population, and around 35 million people in the United States are missing all of their teeth due to accidents, wear and tear with age, gum disease, or as a result of cancer. Some seek dentist services to start the process of replacing their tooth immediately after losing it. Depending on the age of the patient, their budget, and personal preferences, there are a number of different replacement options available, permanently or temporarily. However, what happens if you don't replace a missing tooth are a variety of issues you will likely notice. A missing tooth can drastically alter the appearance of your natural smile. If the missing tooth is near the front of your mouth, the gap may be easily visible to others when you talk, eat and smile. This change can affect some people more than others. If a gap in your teeth causes you to become self-conscious, you may start to avoid smiling or talking to other people. When a missing tooth impacts the self-confidence of a patient, it may be time to consider tooth replacement for aesthetic reasons. Multiple missing teeth can limit the types of food you can comfortably eat. You may have to start avoiding hard, brittle or chewy foods, or risk discomfort while chewing. Indigestion and altered nutrition are also side effects of this problem. If you lose teeth at the front of your mouth, you may experience an alteration in the way you speak. We pronounce certain sounds by moving the tongue against the back of our front teeth. If they suddenly disappear it is not uncommon to develop a lisp or for the way you enunciate words to change. For one or multiplie missing teeth, dental bridges might be the answer. In addition to changing your appearance, what happens if you don't replace a missing tooth is that it can also cause you to change the way you eat and talk. If you lose a tooth that is heavily used when chewing food, this can create an immediate impact in the way you chew and the types of food you can eat. You will have to compensate for the loss of your tooth by using other teeth more to bite and chew. If you are missing the molars that usually do the heavy grinding work, you may have to rely on your incisors and canines more when processing food. This unusual stress can cause them to wear down quickly. Once a tooth is lost, there is an increased risk of gum disease at the site of the missing tooth. Some people forget or never learn how to clean the area correctly, and this can lead to a buildup of bacteria. Gum disease threatens the health of the surrounding teeth and causes bad breath. To avoid this, the easiest way is to fill the empty space with an implant or dental bridge to replace the tooth. Preventing a tooth from falling out is much easier and less costly than having to deal with a missing tooth. One lesser known, but serious side effect of what happens if you don't replace a missing tooth is bone loss. A healthy tooth has its root firmly embedded in the jawbone. This keeps the tooth anchored in place, and the continual pressure from the tooth as it works to bite and chew food keeps the jawbone healthy and intact. As soon as a tooth is removed or falls out, nothing is stimulating the jawbone, and it starts to lose volume and density. In the first year after the tooth is lost the jawbone directly under the gap will lose 25% of its volume and continue to shrink. This loss of bone in your jaw over time can physically change the shape of your face. As bone is lost and the underlying structure of your jaw shrinks away, your skin and lips may appear sunken and puckered around the mouth, or become asymmetrical if the tooth loss is on one side. If left without replacement for a long time, the bone can deteriorate significantly and cause the sinus to enlarge, leaving little actual bone structure remaining to anchor an implant if one is desired later. This is why it is important to act quickly when you lose a tooth. If you wait too long, it may be impossible to have an implant without more complex bone grafting. A missing tooth can be replaced relatively quickly and easily by your dentist. There are a number of different options, each with their own advantages and disadvantages, but the most recommended option by far is a dental implant which is anchored directly into the jawbone. A crown is cemented onto this implant and acts as a permanent replacement for your missing tooth. The titanium 'root' means that your replacement tooth is strong enough to use for normal chewing and that the jawbone will continue to receive the pressure it needs to stay intact and healthy. Other options include dental bridges and partial or full dentures, but these will not combat bone loss as well as an implant. Even if your missing tooth is not too visible and does not affect your self-esteem, it is important to think about the overall health of your mouth when considering the options. Our experienced dentists at Bertagnolli Dental in Westminster are happy to continue the conversation in-person about what happens if you don't replace a missing tooth. Call us today to schedule your appointment. Are You Considering Dental Veneers? Are you considering dental veneers? Bertagnolli Dental in Westminster has put together an essential guide to the different types of veneers available. Discover the advantages and disadvantages associated with them before making any decisions. If you have been considering getting dental veneers, do a little research on the options available to you and talk to your dentist. It is a thin layer of material placed onto the surface of a tooth to improve its appearance. They can be made from very durable porcelain or a composite resin material. Dental veneers are considered a cosmetic prosthetic, as their function is to improve the appearance of the tooth. They can help to strengthen the tooth if it has been cracked or damaged, but their primary purpose is aesthetic. A crown veneer is applied when the entire surface of the tooth requires restoration, but more commonly, a laminate veneer is applied. The laminate veneer is very thin and covers just the front surface of the tooth. Veneers can be applied to the top and bottom teeth, but are most commonly used on the incisors, canines, and premolars that are visible when you smile. Veneers are a good option for patients who want to improve the appearance of one or multiple teeth. Teeth that have irregular shapes and contours, stubborn stains, chips or cracks can be covered by veneers. Sometimes if teeth are unevenly spaced, slightly crooked or have moderately sized gaps between them, a veneer is the quickest, easiest and most affordable way to improve their appearance. The dental veneer layer can be shaped to cover the entire front side of the tooth, evening out any irregularities and concealing permanent stains or discoloration. Heavily stained teeth can be a result of smoking or regular consumption of beverages such as coffee and red wine. Usually, the first step to treat stained teeth is to get them professionally cleaned by your hygienist and adjust your own oral hygiene routine. If this does not result in improvement, conventional whitening treatments can be tried. 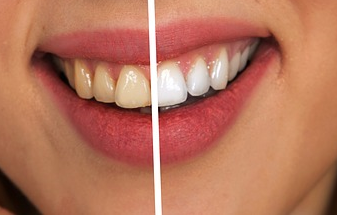 For very stubborn discoloration, veneers can be used very successfully. The layer of porcelain is very thin and reflects light very similar to your natural enamel. For crooked or unevenly spaced teeth, veneers are an attractive solution. Usually, in younger patients, teeth can be straightened using orthodontic methods such as braces. Orthodontics can offer successful and permanent results with just the natural teeth, but they are usually significantly more expensive than getting veneers and take much longer. Many adults who want the appearance of straight, even teeth prefer veneers over the time commitment and expense of orthodontics. The most common type of veneer used in cosmetic dentistry is the porcelain veneer. Porcelain is a very suitable material to improve the appearance of your natural teeth because of its durability and resistance to wear and tear. Porcelain has a light reflecting property very similar to that of tooth enamel. This means that veneer covered teeth will have a very natural texture and appearance. They should not be dull or have an overly shiny plastic look to them. Usually, only dental professionals can tell the difference between natural teeth and veneers. In addition, porcelain ceramic is highly resistant to stains. Dentists can apply porcelain veneers with specialized training in cosmetic dentistry. The process of measuring, prepping and applying the veneer can take two or three visits to the dentist's office. The first step is to simply make an appointment with your dentist to talk about altering the appearance of your teeth with veneers. The dentist will examine your teeth and advise you on the suitability of veneers for the tooth or teeth you are interested in improving. They may take some x-rays to check for any internal problems in the teeth and make a full or partial mold of your mouth. The next step is to prepare the tooth or teeth before the veneer is applied. The dentist will remove around half a millimeter of enamel from the surface of the tooth. This is to make room for the veneer so that the result does not appear too bulky. Depending on your preferences and the advice of your dentist, the area around the tooth may be numbed while the enamel is being filed down. With the tooth prepped, your dentist can create a mold to be used in the creation of the veneer. The dental veneer itself is composed of several thin layers of porcelain ceramic painted onto the mold of your prepped tooth. This process may take a few weeks for the laboratory to complete. Next, an adhesive layer of light-sensitive resin is applied to the prepared tooth. This adhesive layer will form the bond between the natural tooth and the veneer. The veneer is fitted on top of this adhesive layer, and a curing light is used to harden the resin that holds the veneer to the tooth. There is an alternative to porcelain veneers that require less modification to the natural enamel of the tooth. 'No-prep' veneers are made from a composite material and are even thinner than the classic porcelain veneers. This means they do not require the tooth to be shaved down or modified at all. They are simply placed on top of the existing tooth. Some patients prefer this method as it is faster and less invasive. Not all teeth are suitable candidates for composite veneers, so it is best to ask your dentist for a professional recommendation. The main downside to opting for dental veneers is that once you have the procedure done, it is not possible to have it reversed (at least not for porcelain veneers). Due to the removal of the enamel, you will need to maintain the tooth with a veneer forever. Although porcelain is very strong, in the same way, that your natural enamel is strong, it is also brittle and can eventually chip or break. After 10 years of wear and tear, there is a 50% chance that a veneer will require some additional touch-ups or repairs. Are you considering dental veneers. The first thing you should do is talk to your dentist about your options. At Bertagnolli Dental in Westminster, Colorado, a full range of cosmetic dentistry services are available, including porcelain veneers. If you want to modify your smile while maintaining the look and feel of real teeth, you can count on the team at Bertagnolli Dental to get the job done professionally. At Bertagnolli Dental in Westminster, we can tell you everything you need to know about root canals. If the dentist has recommended getting a root canal, you may be nervous and unsure of what to expect. We have been providing first-rate dental care and performing root canals on our patients since 1973. Keep reading to discover exactly what is involved in a root canal procedure, why they are needed, and how you can prevent further damage to your teeth. A root canal is a dental procedure that saves and repairs a tooth that has become damaged by decay or infection. It is possible to restore a damaged tooth by removing the pulp and nerve tissue from the center of the tooth, hollowing out the 'root canal,' then filling it in and sealing it back up. Hence, you can keep your natural tooth and continue to use it without suffering from further pain or decay. Root canals are usually performed when there is severe tooth decay that has penetrated deep down through the layers of enamel and dentin. Each tooth has a hollow space inside it called the pulp chamber and root canal. The nerves of your teeth run through the root canal into the pulp chamber, which also contains blood vessels and living connective tissue. If decay damages your tooth, deep fillings, repeated dental procedures or a crack in the enamel, the dental pulp can become exposed. Due to a high concentration of nerve endings in the dental pulp, this can lead to sensitivity and pain when exposed to hot or cold temperatures and when eating. Exposed dental pulp can easily get infected by bacteria, causing further pain. If not treated quickly, the infection can spread deep into the roots of the tooth and form an abscess. An abscess can lead to swelling, pain, bone loss and a further spread of infection to the soft tissue of your face and jaw bone. What Exactly is Involved in the Procedure? A root canal can be carried out in one visit to your dentist, but in some cases, it may require two. Typically, an X-ray of the problem tooth will be taken before the procedure starts. Your dentist will use the X-ray to see the shape of the tooth's root canals and to check for signs of infection deeper in the surrounding bone. Next, they may administer a local anesthetic to the area around the tooth. With extensive decay, often the nerves are already dead and won't transmit any pain, but to be on the safe side and to put the patient at ease, the area is often numbed. A hole will be drilled through the top of the affected tooth, giving access to the pulp chamber and root canal. The dentist will use small tools to remove the remaining pulp, decaying nerve tissue and infected debris from inside your tooth. 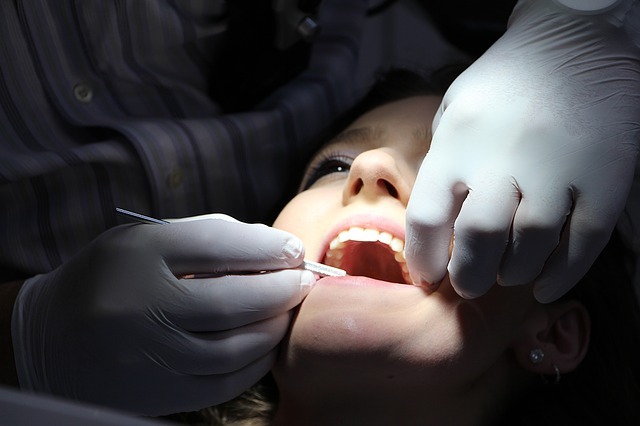 To completely clean out all the bacteria and dead tissue, the dentist will use root canal files. A file with a small diameter is placed into the hollowed-out part of the tooth and worked all the way down through the root canal to scrape the walls of the canal. Sodium hypochlorite or water can be used to flush out the loosened particles. The dentist will continue using files with increasing diameters to scrub and smooth down the inside of the root canal. Once it has been completely cleaned, the root canal can be filled and sealed. Your adult teeth, once they are fully mature, do not need the dental pulp and nerves to be fully functional. Removing them will not cause adverse effects in your ability to chew food. To seal the tooth, the dentist will fill the hollowed-out part with a rubber compound and sealer paste. This will reinforce the strength and resistance of your tooth. The surface will be covered with a normal filling to seal everything together. Depending on the extent of the decay and structural degradation of your tooth, a crown may be placed over the treated tooth to give added protection. Although root canals have a bad reputation for causing pain, the procedure itself should only produce the same amount of discomfort as a standard filling. For the few days after the root canal, however, you may notice some inflammation in the area around your tooth and feel sensitivity. This is normal and should clear up within a few days. You can use over-the-counter pain relief medication to control temporary discomfort. Continue to brush and floss around the treated tooth as usual. Root canals have a 95% success rate and once completed, the repaired tooth can last a lifetime without giving more trouble. When considering options for a damaged tooth, it is always advisable to retain your natural tooth if possible. Your natural teeth are fused to your jaw bone, and their presence helps to reduce the risk of osteoporosis in the jaw. With a root canal, you can also quickly improve the appearance of a tooth with a dental crown on top of the restoration. After a root canal, you can continue to eat a full range of foods, as your tooth should retain its strength. A root canal is also less invasive than having a damaged tooth pulled and then getting an implant, bridge or dentures to replace it. These replacement options are usually more expensive and in the case of dentures, which are certainly higher maintenance. There are some measures to prevent ever needing a root canal. Practicing good oral hygiene by brushing and flossing each day, as well as regularly visiting your dentist for a dental check-up should reduce your risk of extensive tooth decay. You can also lower the risk of structural damage to your teeth by wearing a mouth guard while playing sports. This may be everything you need to know about root canals, but if you are still unsure about any aspect of the procedure, please do not hesitate to contact Bertagnolli Dental. We provide personalized and comfortable dental care to clients in Westminster, Colorado. We are happy to answer any questions you may have about root canals or other dental procedures. Too many adults put off or completely avoid them, so Bertagnolli Dental is here to share exactly what to expect during a dental checkup. Hopefully, this in-depth explanation will address any fears you may have about going to the dentist. Remember that your dentist will be open to talking about any concerns you may have, and can develop a strategy for keeping your teeth healthy without added stress. Your first point of contact at the dental practice is the reception front desk. While your dentist handles the clinical work, they will usually leave the paperwork and scheduling tasks to the reception staff. If you visit the same dental practice regularly, they should have a record of your previous appointments. Even if you are not keeping track of how often you visit, the staff probably has these details and can help you schedule appointments according to your dentist's recommendations. The front desk team will also coordinate the payment method and communicate with your insurance company if necessary. You can ask the receptionist what payment plans are available and what your insurance covers if you are unsure. You may be directed to wait in the reception area for a few minutes. The receptionist or a dental professional will lead you to the right room once they are ready to begin. When you enter the dental surgery or the dental practice room, you will probably be invited to sit in the examination chair and have a brief chat. It is usually the dental hygienist or Certified Dental Assistant who will talk to you initially. These are the dental professionals that take care of the majority of routine dental care and teeth cleaning. If it is your first visit to the practice, they will ask you about your medical and dental history. If you are a return client, they will ask for you to update them on any changes, new medications, surgeries or symptoms that have appeared since your last visit. Once you have given all the requested information, the dental hygienist will clean your teeth. For this non-invasive procedure, you just need to sit back in the chair. They may ask you to put on some goggles or glasses to protect your eyes from the intense light they shine into your mouth. The hygienist will use some tools to scrape off any buildup of plaque on the surface of your teeth. It is completely normal and necessary for them to work where your teeth meet the gum line, as plaque or tartar can build up and be especially problematic in this area. They may also use dental floss or a flossing tool to work between your teeth, to ensure there is no food particles or plaque trapped in these areas. Thoroughly cleaning your teeth is an important part of a routine dentist visit. Your hygienist can remove plaque from areas that you may find difficult to access or see. This helps prevent decay and is also important to do before the dentist examines your teeth, as he will have a clearer view of each tooth's surface and will be better able to identify problems. The cleaning will finish with a tooth polish. The hygienist will use a small tool with a spinning head and a mildly abrasive paste to polish the surfaces of your teeth. This will leave your teeth with a smooth and uniform finish. This will make them appear sparkling and new, as well as make it more difficult for plaque to adhere to the surface. This next step can be carried out by your hygienist or dentist. They will ask you to open your mouth wide and allow them to examine each tooth. A small mirror and a dental probe can help them see from every angle and check for softening or eroded tooth enamel. Don't be surprised if you feel them gently tap each of your teeth with the probe. They will examine any previous fillings or implants to make sure they are still solidly fixed in place and serving their purpose. At this moment, they will also be checking for signs of gum inflammation, mouth sores or superficial damage to your teeth. They will measure the depth of periodontal pockets in your mouth. This 'pocket' is the space between your gum line and where the gum firmly attaches to the tooth. In healthy gums, this space should measure no more than 3 millimeters. Deeper pockets can allow bacteria to grow and are a sign of gum disease. If your dental professional wants to take routine X-rays, they will ask you to bite down on a piece of plastic and keep still for a few seconds. Depending on the size and positioning of the X-ray machine, they may also cover your neck with a lead collar to shield your thyroid from radiation. X-ray images allow your dentist to clearly see the structure of your teeth, their roots, and the jaw bone. This is a helpful tool in identifying decay and other issues with your teeth that are not visible on the surface. The final exam is carried out by your dentist and is a check of your overall oral health. They will palpate, or feel your jaw bones from the outside and ask you to open your mouth and bite down. This allows them to check that your bite is aligned correctly and your bones are not suffering from osteoporosis. They may also feel around your neck and jaw for signs of oral cancer. With the information gathered from the tooth exam, X-rays, and the final dental exam, your dentist can analyze your oral health completely and make recommendations for any necessary treatment. At the end of your visit, the dentist will tell you about any issues they encountered, and if there are any steps, you can take at home, to improve your oral health. If they recommend a dental procedure or surgery, such as placing a crown or a root canal, they will ask you to schedule another appointment for this with the receptionist on your way out. At Bertagnolli Dental, we feel that once you know what to expect during a dental check-up, the whole procedure will be a lot less stressful. As we have explained above, a standard check-up will consist of non-invasive cleaning and examination of your teeth. Any further treatment or procedures are completely up to you. Having your teeth examined regularly can help you combat any dental issues before they become complex, painful and costly to treat. At Bertagnolli Dental, we often discuss dental implants with our patients. If you have lost one or more teeth, there are some amazing benefits of dental implants. They are the most permanent solution to replacing missing teeth in both young and older patients. Once inserted, there is no special maintenance required. Because they look and feel so much like a natural tooth, people with dental implants often forget that it is not their real tooth! Losing a tooth can happen due to an accident, or as a result of tooth decay and gum disease. If the tooth is lost from the front of the mouth, as often happens in sports accidents, it can have a big effect on appearance. Many people are anxious to hide their smile once they have lost a tooth near the front of the mouth. In addition to lowering confidence, missing teeth can mean there is more pressure put on the surrounding teeth to compensate for the weakened bite capacity. The teeth on either side of your lost tooth can end up tipped or damaged due to the increased pressure. 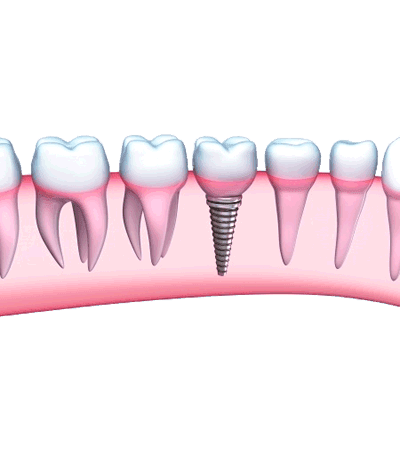 A dental implant involves anchoring a replacement tooth or 'crown' to an implant which is screwed into place in your jawbone. This is a solid and permanent replacement which relies on the strength of your jawbone, in the same way that your natural teeth do. Other tooth replacement options such as a dental bridge depend on the strength of the surrounding teeth to keep the crown in place. To fit a bridge, your dentist will need to file down the teeth on both sides of the gap to anchor the replacement tooth in the center. This permanently removes enamel from these teeth and can considerably weaken them. A partial denture is another option, but this requires a removable mouthpiece put in each day and can make speaking and eating uncomfortable. A partial denture also relies on the strength of the surrounding teeth and its movements can sometimes cause gum abrasions. Patients need to be vigilant about removing their dentures to clean them every day thoroughly. Dental implants offer a no fuss, permanent replacement of your tooth. Another superb advantage of a dental implant is that it helps to prevent osteoporosis in the jaw. When a tooth is lost, the jawbone stops receiving pressure in the area where the tooth used to have its root anchored. Without constant force applied to this area, it will start to weaken and suffer from bone loss, eventually leading to osteoporosis and possibly a change in the shape of your facial bones. With a dental implant screwed into your jawbone, you don't have to worry about this! From the ease of cleaning to appearance, there are many reasons to choose an implant over another less permanent solution. We have mentioned just some amazing benefits of dental implants. For more specific information, you can talk to an experienced dentist at Bertagnolli Dental. Most of us know that we should be visiting their dentist often, but many don't fully understand the importance of regular dental check-ups. Bertagnolli Dental can give you an insight into the real reasons you should keep up with your yearly dental appointments. When it comes to your oral health, there is a lot at stake. During your regular dental check-up, your dentist is doing the important job of checking your overall health, as well as specific issues with your teeth. A dental check-up consists of an overall review of your oral health, cleaning your teeth, and updating your file with any changes that have occurred since the last visit. During a typical check-up, no procedures will be carried out. If your dentist has reason to recommend a procedure such as a filling, a deep-clean, a root canal or an implant, they will let you know their recommendations and give you time to think about your options and schedule the procedure for a time that you are comfortable. 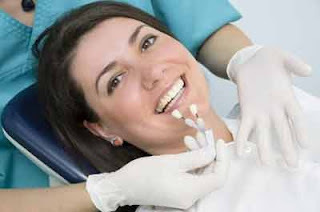 The dental exam carried out by your dentist during a check-up is non-invasive. They will use a small mirror to see every surface of each tooth. They may perform a percussion test by tapping each of your teeth with a small blunt tool. They will use a probe to check the surfaces of your teeth for calculus build-up and will run this tool along your gumline to check for loosened or receding gums. Your dentist may also request that you give a saliva sample, or demonstrate your bite strength. During this exam, your dentist is identifying any areas of tooth decay or gum disease that may have appeared or progressed since your last visit. Additionally, they are examining your entire mouth for signs of oral tumors, vitamin deficiency and issues with your salivary glands. Some health problems such as osteoporosis and diabetes are often first diagnosed by the symptoms exhibited in the mouth and jaw area. The visit to your dentist is part of your overall healthcare and cannot be underestimated. After carrying out the exam, your dentist or a hygienist will usually clean your teeth to remove any tartar build-up. They can talk to you about specific techniques used in brushing and flossing to help improve your dental hygiene. The dental exam is a good opportunity for the dentist to identify problem areas that may not be getting enough attention in your daily oral hygiene routine. Additionally, this is an excellent opportunity for you to discuss with your dentist any dental issues on your mind, whether it be an interest in cosmetic dentistry or concern about halitosis. The importance of regular dental check-ups goes beyond keeping your teeth and gums healthy. A check-up allows your dentist to catch potential issues before they start causing you pain or permanent damage. If you wait to visit the dentist until you have a problem with your teeth, it is almost inevitable that you will end up spending more time in the chair, more money to fix the problem, and more time in discomfort. To schedule the next check-up for yourself or a family member, contact Bertagnolli Dental. 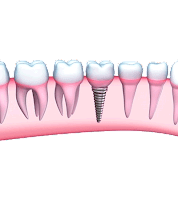 Here at Bertagnolli Dental, we regularly help patients suffering from tooth loss and want to share with you the benefits of dental implants. People usually choose to get dental implants if they have one or more missing teeth. The implants are anchored to the jawbone itself, so they have a solid foundation and are fully functional replacements for your natural teeth. The practical and aesthetic benefits of implants make them a very attractive solution for anybody who has lost teeth. The most obvious benefit of a dental implant is that it can drastically improve your smile. When people lose teeth due to injury or accidents, it is often the front teeth that are knocked out. This can leave an obvious and embarrassing gap. People with obviously missing teeth often end up smiling less, hiding their teeth and losing confidence. A dental implant is almost impossible to distinguish from a real tooth. With a completely natural looking implant, you can smile with confidence! 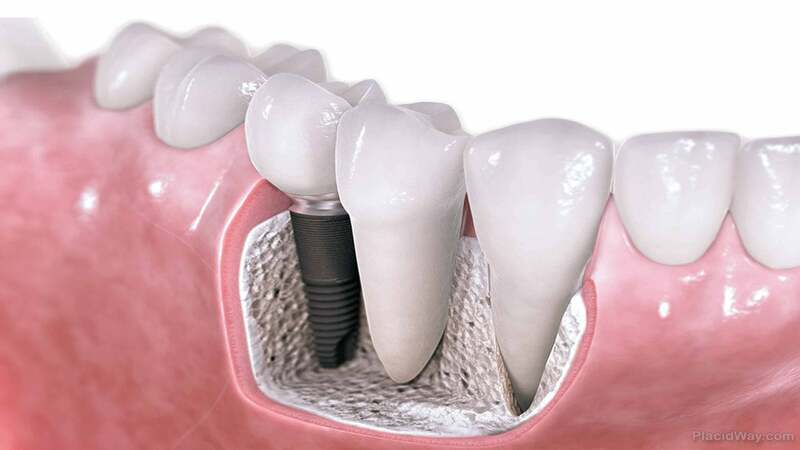 The sheer strength of a dental implant is another one of their key benefits. Implants are made from a material with the same durability as your natural enamel. This means that you don't have to restrict the types of food you eat. Many people with missing teeth, especially if they don't have all their molars, will avoid tough foods that need chewing, simply because they can't break them down effectively with their remaining teeth. An implant allows you to eat everything that you would eat with your natural teeth, meaning you can choose your food freely. Dental implants can help prevent osteoporosis in both men and women. Osteoporosis is the gradual loss of bone density as we age. One way to combat osteoporosis is to ensure you are getting exercise and putting your bones to work with weight bearing activity. Without a full set of teeth, it is difficult to chew strongly. The jaw is one of the first places hit by osteoporosis. With dental implants firmly anchored in your jawbone, you will be able to chew better and give your jaw the resistance training it needs to keep strong for years to come. Dental implants can play a part in improving the shape of your face and slowing down the signs of aging. When you are missing teeth near the front of your mouth, your lips don't have anything to rest against, and they start to fold inwards. Filling out the empty space in your mouth with dental implants means your face will retain its youthful structure. The muscle and skin of your cheeks and mouth need a full set of teeth to stretch over if they are to look their very best. If you are suffering from the practical and aesthetic difficulties relating to missing teeth, there is a solution. Now that you know the benefits of dental implants, the next step is to book a consultation with your dentist to discuss your options. For more information, you're welcome to contact us here at Bertagnolli Dental. Let us help you restore your health and your smile with dental implants. Lead by example. If parents have dental anxiety, this can often be picked up by children and internalized. If you do dislike going to the dentist, try not to show this to your kids. Make sure you lead by example regarding dental hygiene and regularly visiting the dentist. When children see their parents doing this without a problem, they are more likely to accept it as a normal part of life, and not something they should be afraid of. Create positive associations. By this, we do not mean bribing your kids to got to the dentist. Creating positive associations with dentist visits is something you can do consistently as your child grows up. Start by reading them books about going to the dentist where the main character has a positive experience. Make an effort to tell your kids about their family members and friends going to the dentist and the positive results they have experienced (a healthy mouth, strong teeth, beautiful smile, no more toothache, etc.). If you ever talk about going to visit the dentist in terms of a punishment or a threat, this will quickly create a negative association and teach your child to fear the dentist. Go to a family dentist. A pediatric or family dental clinic will have plenty of experience in working with the kids and will often be more sensitive to their needs. Visiting a family focused dentist can make all the difference to your child's attitude. The presence of toys, other kids, and fun distractions during procedures can put their mind at ease. 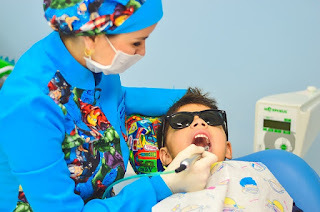 A pediatric dentist will also be able to provide suitable sedation for children if required. Start young and keep up with appointments. Hopefully, your child's first visit to the dentist was before their first birthday. Usually, the first tooth will appear when your baby is between six months and one year old. Starting their visits to the dentist at this age and then following up every six months will get your child accustomed to the routine and procedures of the dentist appointment early. Leaving too much time between visits can allow the child to forget the reality of the dentist and let anxiety to grow. Often, children who suffer from dental anxiety carry this into their adult life, where it can have a serious impact on their oral health. Starting them off with healthy habits and routines at a young age will pay off in the long run. 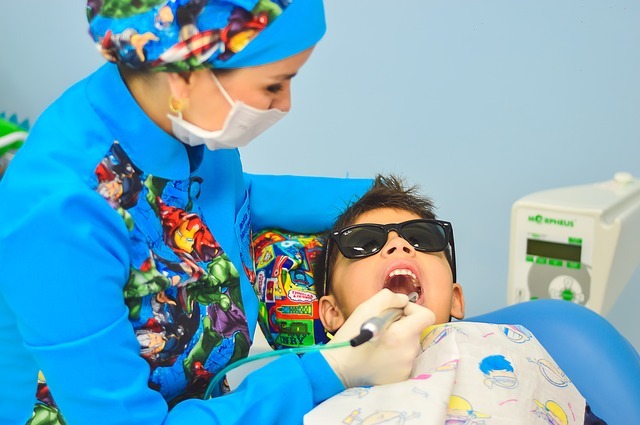 If you have any questions about these tips for managing your child's dentist anxiety, do not hesitate to contact us here at Bertagnolli Dental in Westminster, Colorado. A chipped tooth can be unsightly, embarrassing and it may even prevent you from chewing food comfortably. For minor tooth damage, such as cracks and chips, there is an affordable and quick solution available from your local dentist. You don't have to settle with having a chipped tooth forever. A quick trip to Bertagnolli Dental practice and your smile can be fully restored. A chipped tooth can be the result of a sports accident, an unusually hard piece of food, or a tooth grinding habit. Most of the time, a chipped tooth will not cause pain or impede normal eating. If near the front of your mouth it can ruin your smile, and many people find a jagged new edge on their tooth to be uncomfortable. Fortunately, tooth bonding with a composite resin can easily be used to fix the appearance and feel of a chipped tooth. The composite resin used to repair the tooth is made from a combination of translucent plastic and glass. It can be made in different shades to match perfectly with the exact color of your tooth. Tooth bonding involves applying this resin to the affected area of a tooth, molding it into the desired shape, and curing it with a special light. This is a great solution for chips, minor cracks, and unsightly gaps between your teeth. Tooth bonding is only used on cosmetic issues, it is not a solution for serious structural damage to your teeth. One of the advantages of tooth bonding is that it can be done quickly. Unlike crowns or bridges, there is no lab work or molds to be made. One visit to your dentist's office is all you need. It is one of the least invasive procedures, as the resin is bonded directly to the existing surface of the tooth, so there is no need for drilling. The simple procedure is an affordable solution to most cosmetic issues. One disadvantage to tooth bonding is that it does not last forever. Usually, the composite resin can be expected to endure up to 10 years of normal use. If you grind your teeth, it can significantly shorten the lifespan of the resin. This can be a great option for teenagers who need a temporary cosmetic fix before their teeth have fully developed. The procedure is completely reversible and can easily be removed if you elect to get a more permanent fix later. Tooth bonding with composite resin makes it easy to fix cosmetic tooth issues without any fuss. You don’t have to settle with having a chipped tooth when there is a cheap, long-lasting treatment available from your dentist. The composite resin looks much better than traditional fillers like silver amalgam, and it is perfectly safe. After a tooth bonding procedure, you will quickly forget you ever had a chipped tooth in the first place! To schedule an appointment for tooth bonding at Bertagnolli Dental practice, simply contact us through our website or call us today. Gum disease, or gingivitis, is no laughing matter. Bacteria attacking the gums causes it, and if left untreated, can quickly progress into a chronic condition. While the easiest way to prevent gum disease is to pay close attention to your daily oral hygiene habits, once you start experiencing symptoms, it is best to make an appointment with your dentist. The experts at Bertagnolli Dental know what a deep clean of your teeth can do to fight gum disease. Oral bacteria can damage both your teeth and gums. During daily brushing, one of the most difficult places to remove food debris and plaque from is the place where your teeth meet your gums. If the plaque deposits or calculus produced by bacteria are left to sit on your gum line, they can cause irritation and inflammation. Gum disease moves progressively further towards the roots of your teeth, loosening the gums from the tooth surface. This can allow pockets to form, increasing the opportunity for bacteria to take up residence and eventually leading to abscesses, loosened teeth, and tooth loss. A typical cleaning from a dental hygienist involves scaling, the removal of superficial calculus buildup from the surface of your teeth. A deeper cleaning might be recommended if you are showing the early symptoms of gingivitis. Deep cleaning usually involves root planing. This is a method of cleaning the surface of your teeth's roots, in the hard-to-reach area below the gum line. Root planing goes deeper than the typical tooth scale and polish. Usually, for this more invasive cleaning, you will be given a local anesthetic. This will allow you to be relaxed and comfortable while your dentist works on sensitive areas around your gums. The root planing procedure is often preceded by the use of an ultrasonic device over the affected area. Ultrasonic waves are used to dislodge calculus buildup from beneath the gum line before your dentist flushes the area with water. Hand-held instruments are then used on the roots of the teeth where the gums have loosened. Remaining bacteria and plaque is gently scraped away. Finishing the treatment, iodine or an antibacterial solution is flushed under the affected gums. According to an article from the Dear Doctor Dentistry and Oral Health magazine, it is possible that just one deep cleaning root planing procedure can successfully return mildly inflamed gum tissue to complete health. Commonly, root planing will allow gum tissue to heal by 1-3mm within a few weeks of the procedure. If you are noticing the first signs of gum inflammation, it is not too late to completely reverse your symptoms. A deep clean by your dentist could be all you need to fight gum disease and prevent its progression. Of course, the dentist cannot do all the work. You may also need to adjust your daily oral hygiene routine and pay closer attention to your gum line when brushing. To schedule a tooth scale and root planing procedure and experience what a deep clean of your teeth can do to fight gum disease, call us at Bertagnolli Dental or visit our website today. Minimizing tooth decay for your child is important to our dentist and entire team at Bertagnolli Dental. According to the Centers for Disease Control and Prevention, 17.5% of children in the US aged 5-19 have untreated dental cavities. Tooth decay can begin within a few weeks of the first baby teeth appearing, so you can't start too early when it comes to your child. In fact, you can actually give them an advantage by instilling good dental hygiene habits, providing a healthy diet from the very start and making sure they receive regular care from your local experts in pediatric dentistry. 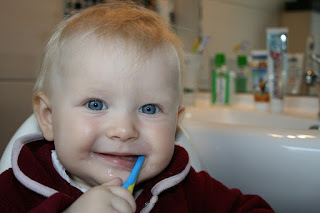 Once your baby's first teeth appear, it is time to start a healthy oral hygiene routine with them. You can effectively clean their mouth in the beginning by wiping a damp cloth over their teeth and gums. Do this at least twice per day. The principle behind cleaning teeth is the same for adults, children, and babies. You don't want to allow food particles to sit on the surface of teeth for too long, or bacteria will start to feed on these particles and produce corrosive acid that decays teeth. By your child's first birthday, you should start brushing baby teeth with a soft-bristled toothbrush. You should also schedule their first dental check-up before their first birthday. Your dentist will check the development of their baby teeth and identify any potential issues before they cause problems. They will also demonstrate the best way to brush your child's teeth at this stage and recommend the correct amounts of toothpaste and fluoride to use. Continue bringing your child for a check-up every six months after this point. Children's teeth grow and change surprisingly quickly, so it is important for your dentist to have a regular opportunity to catch any signs of decay and take preventative measures if needed. The other critical factor affecting your child's oral health is their diet. Acidic juices and sugary drinks are the biggest culprits in causing early childhood tooth decay. Bottles and sippy cups allow your child to drink very slowly and create maximum contact of the liquid to your child's mouth. Try to limit the time your child has access to juice or milk in a bottle and clean their teeth after each mealtime. Avoid putting your baby down to sleep with a bottle of milk or juice. Switching to warm water can give them the same comfort factor without being a threat to their teeth. As your child grows, keep encouraging a healthy diet with limited access to sugary snack foods and acidic or sugary drinks. Give your child a good example to follow by not snacking on sweets throughout the day. As they become more independent, continue to monitor their oral hygiene routine. As soon as their teeth touch each other, you can introduce floss. Remember to ensure they visit a dentist every six months, hence minimizing tooth decay for your child. Be sure to call us at Bertagnolli Dental to schedule an appointment or simply talk about your child's dental health.